OUR COMMITMENT TO EXCELLENCE IS BUILT ON TEAMWORK AND THE BELIEF THAT PARTNERING YOUR VISION WITH OUR EXPERIENCE WILL LEAD TO STERLING RESULTS. Calvary Contracting specializes in renovations, reconstruction and home improvements for all of the Capital District. If you need something and don't see it listed, please contact us. Calvary Contracting has served the tri state area for the past thirty years. Our outstanding track record continues because we understand that quality and excellence can be achieved with proper communication and planning. We pride ourselves in the old school ethic of hard work matched with understanding today’s advances in new products, equipment and technology. Our business approach involves managing project costs, setting high standards and striving to exceed your expectations. Our commitment to excellence is built on teamwork and the belief that partnering your vision with our experience will lead to sterling results. Thank you for this opportunity to see what we can accomplish together. We are a family owned and operated business. Our only goal is to provide the best possible service to our customers. We have thirty years of experience in the tristate area and are looking forward to partnering your ideas with our experience to make your dreams a reality. How can WE serve YOU? "Vinny and his crew of Calvary Contracting renovated the storage area above my garage into a beautiful great room for a place for my grandchildren to play, watch TV and play video games. With the radiant floor heating recommended by Vinny, the room is now also used as a fifth bedroom area. His attention to detail was outstanding, and l have plenty of storage areas that blend seamlessly in the room. Workers were polite and friendly and went above and beyond to protect adjacent areas of the work location. Calvary Contracting stayed true to his estimate and time frame to completion. I am now scheduling Vinny to redo my tile floor for my kitchen. You will not be disappointed with their work ethics and honesty and integrity. I highly recommend Calvary Contracting for any of your construction and renovating needs." "Calvary Contracting completely remodeled my 20+ year old home after significant water damage. The finished product is amazing, modern, and clearly professional. Calvary Contracting was easy to work with, helpful and insightful, and worked hard to be within the agreed budget and deadline. Living room, family room, kitchen, and a few other rooms were completely gutted and remodeled. I highly recommend this company to anyone looking for a knowledgeable, skilled, professional, and easy work work with contractor." "One person cannot say enough about the quality of work that Vinnie puts into his projects (perhaps craftsmanship is a better word). Vinnie is truly an artisan when it comes to ceramic tile! Most importantly he is very courteous and aims to please the customer! He stands behind his work and satisfaction is his main concern. Prices are fair and there are no hidden costs. He is very selective as to his employees and their quality and courtesy shows. It was a pleasure to have him do work for us and when the job was finished the place was as clean as when he started. Vinnie stands behind good moral and Christian values which shows in how he treats his customers. I feel not only did we get a great contractor but also a new friend and will definitely use him for our next project." "Well I just wrote my check for the final payment on my home renovation and I could not be more pleased! Vincent Vaccaro and the gang at Calvary Contracting are professional, dependable, friendly and accommodating. They have spent the last 5 weeks in my home remodeling my kitchen, 2 bathrooms, painting, tiling floors, putting new doors in and making my house feel like new construction. Anything I wanted done...Vinny did and then some. Every night my house was left clean and neat. Vinny goes above and beyond, takes tremendous pride in his work, and will not leave until you are 110% satisfied. It is a pleasure to highly recommend this company!" "Removal of carpet and wallpaper, faux brick in kitchen. Installation of wallboard over existing paneling. Repaired and prepared walls and ceilings to be painted. Painted house throughout as discussed. Installed new sinks and cabinets in bathrooms and replaced one toilet. Refinished hardwood floors and installed new flooring in kitchen. Finally cleaned work areas and hauled all garbage away. 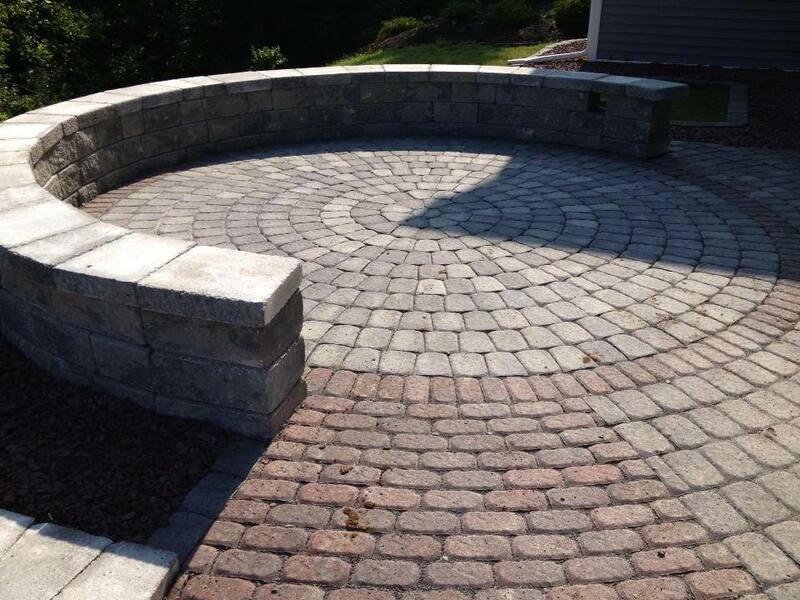 Contractor worked as a partner to plan and execute the job in a professional manner. Job was expanded from the original scope and Calvary Contracting worked with us to complete the job with the changes as requested in a timely manner while keeping the costs reasonable. A pleasure to work with, professional and kind." 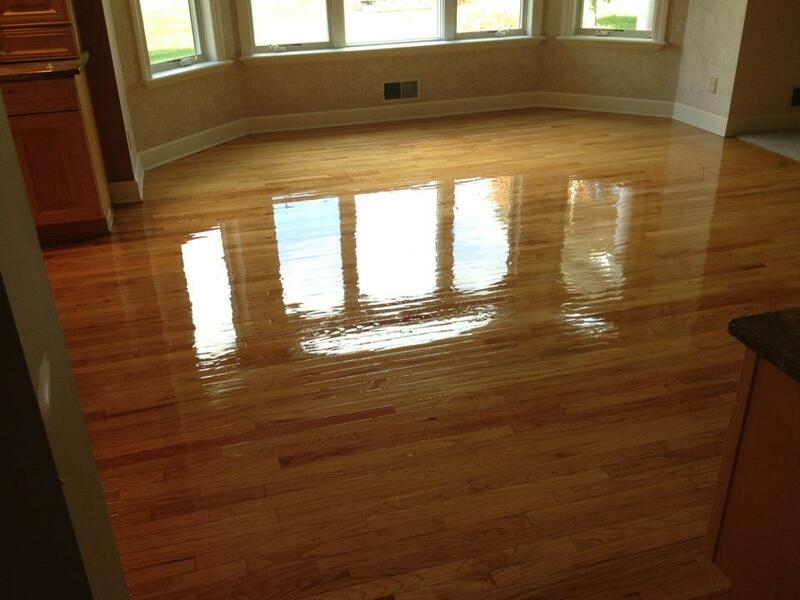 "Calvary contracting did a complete gut of my kitchen and hallway. 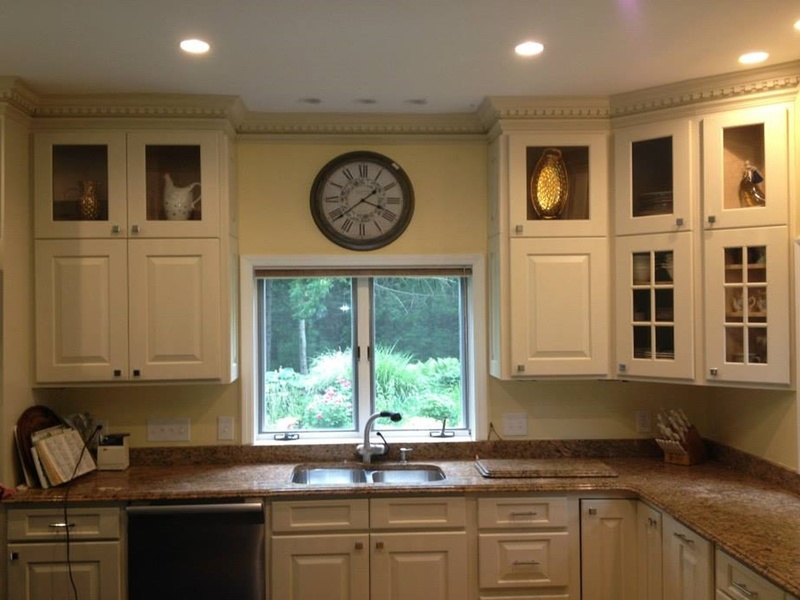 All doors, cabinets, appliances and trim were removed and replaced with new/modern items. Hardwood floors were installed. Electrical outlets and switches were moved. The popcorn ceiling was scraped and made smooth. Various walls were cut and modified for the new cabinets/appliances. This company was very meticulous and paid attention to detail. We were kept informed along the way of any obstacles and possible solutions. The kitchen and hallway were kept dust tight so that the other areas of the house wouldn't become a mess and unusable. Great care was taken and the end of the job to rectify any issues that wanted changed. Our kitchen is beautiful and this company provided some great ideas along the way. These guys have integrity and I highly recommend this company to anyone looking to do some remodeling." "Calvary Contracting recently remodeled our downstairs bathroom in our Van Patten home, which had all the original features, circa 1970. 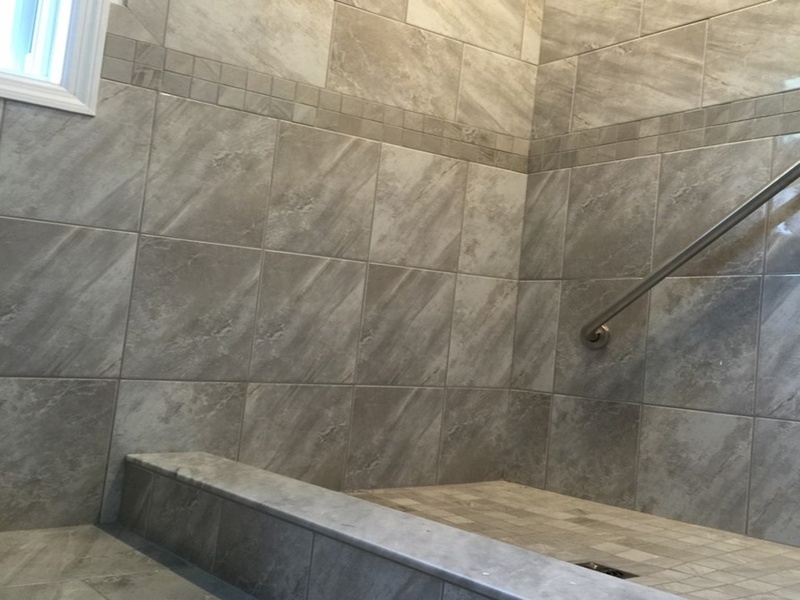 Calvary Contracting was able to provide a high quality product by completing the following- electrical installation and relocation, dry walling, floor tile installation, painting and installation of new fixtures and plumbing. Calvary Contracting was highly professional and took the time to do the job right. We are so pleased with our experience and plan to use them again in the future." "Calvary Contracting totally renovated two bathrooms in our house. The lead contractor was always present at the beginning of the day and met with his crew before they began work each day and he returned at the end of the day to access the amount of work and quality of workmanship that was done. They met deadlines and our budget and cleaned up at the end of the work day. The lead contractor was easily accessible and if there was a question or concern, he was always available at the first request. The entire crew was very trustworthy and respectful of our property. I would not hesitate to call them back for a different project in the future." 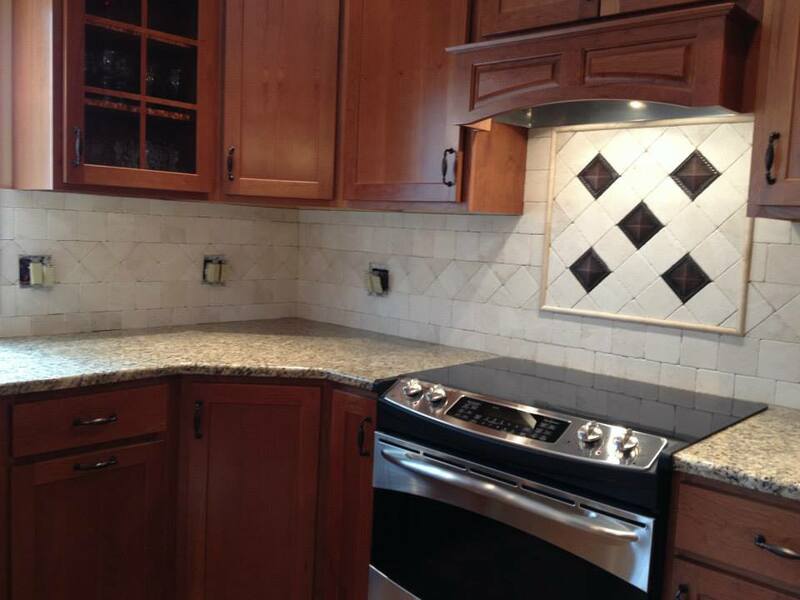 "We needed our kitchen floor replaced and wanted tile installed. We wanted this to be finished before Thanksgiving. This contractor had been used by friends who were very happy with the quality of the work. Despite this being a small project, the job was scheduled for completion as requested. The tile took longer than expected to receive but the job was still completed on time and for estimated price. We are happy with the finished job and would recommend his work." "Best contractor I've worked with, by far! He has been meticulous, reliable, diligent, organized and always professional. Also reasonable with rates and most importantly honest. The team renovated my post modern home and I am very pleased with the results, to say the very least. It was refreshing that Mr. Vincent Vaccaro was able to work with me on ideas, and succeeded in translating them into a sophisticated look. He was very aware of current trends, having worked previously in trendy Manhattan, but is also versatile in skill set. It is a pleasure to know and work with him." "We had a wonderful experience working with Vinny and his crew at Calvary Contracting. We were extremely impressed with the integrity with which they worked. They laid down some hardwood flooring and did some painting in our home and we couldn't be happier with the job. This the first time we have worked with contractors and we were a bit wary of the situation but Vinny completely put our minds at ease and we will definitely be using them again for any future work we need done. I highly recommend this business to anyone who is looking for good work to be done by good people." "I had damage to the ceilings and one wall in my office from water backing up this winter. The ceiling sheetrock became discolored, and several taped areas filled with water. After the insurance estimate, I hired Calvary Contracting because of their reputation and honesty. Vinny inspected the damage and was able to repair the stains and retape and finish the ceilings like brand new. He came in under the insurance estimate too. He repainted all of the ceilings ,including those ceilings which were undamaged but continued into adjacent rooms-just so it all l,ooked good. He worked around my schedule with no interruption to our work. Great job!" Calvary Contracting is a locally owned family business. We have been serving the tri state area for the past thirty years. Our outstanding track record continues because we understand that quality and excellence can be achieved with proper communication and planning. We pride ourselves in the old school ethic of hard work matched with understanding today’s advances in new products, equipment, and technology. Our business approach involves managing project costs, setting high standards, and striving to exceed your expectations. Our commitment to excellence is built on teamwork and the belief that partnering your vision with our experience will lead to sterling results. Thank you for this opportunity to see what we can accomplish together. As a brother of Cpl. Angelo Joseph Vaccaro, 10th mountain division, deceased due to a combat injury in 2006 in Afghanistan, I have a strong desire to honor those who have sacrificed their lives and limbs for our Constitution and our freedom. Corporal Vaccaro was the first member of the U.S. Military to receive TWO Silver Stars in the Global War on Terrorism. On 2 October 2006, Corporal Angleo Vaccaro was serving as a Senior Line Medic with Alpha Company, 1st Battalion, 32nd Infantry Regiment, 3rd Brigade Combat Team, 10th Mountain Division, at the Korengal Outpost in Afghanistan. Upon learning that two soldiers from his platoon had been injured in a firefight, Vaccaro set out to help the men. Despite being told to go back to his quarters, Angelo volunteered for the mission, knowing he would come under heavy attack. As he tried to rescue wounded soldiers, a rocket-propelled grenade struck his vehicle, killing him instantly. At Calvary we are always accepting new job applications. Do you take pride in what you do? Do you work well in a team environment? What's your talent and how can you be our next asset? We would love to hear from you. Send us an email explaining your qualifacations and motivations at jobs@calvaryserves.com.